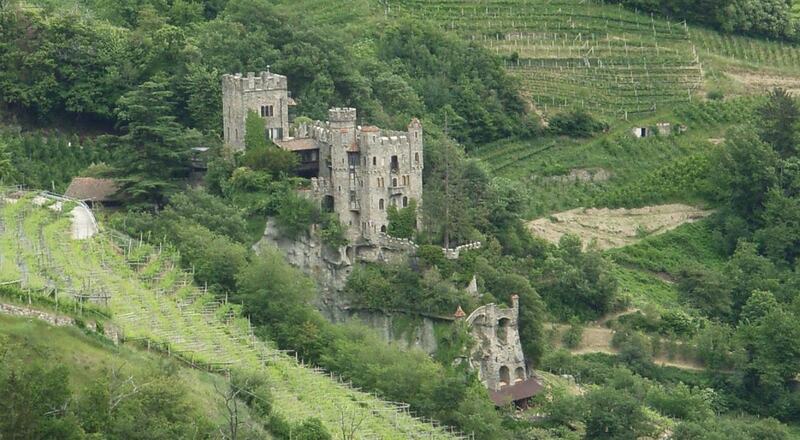 Brunnenburg Castle is situated above the city of Merano, on the outskirts of the municipality of Tirol. Originally built circa 1250, the castle was completely restored and updated in the mid-20th century by Boris and Mary de Rachewiltz, who have made it their home. Surrounding the castle is the family's vineyard.